This chapter analyzes the contribution of an integrated Information System (IS) to manage processes in an electromechanical multinational company operating in engineer-to-order businesses (ETO-MC). According to literature, ETO business is characterized by dynamic, uncertainty and complexity with special managerial and informational requirements, mainly linked to specific features that distinguish ETO businesses from repetitive manufacturers. The IT integrated application could be an appropriate solution to satisfy the special needs in this context, but in literature there are few contributions about it. The aim of this work is, through a case study, to highlight the possibility of integrated IT solution to better address uncertainty and complexity of an ETO-MC, by providing increased reliability of data, availability on demand and real-time of information, and facilitating creation and development of global knowledge database. 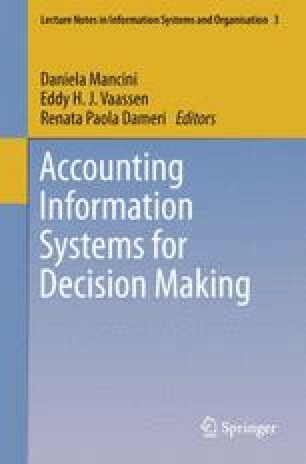 Finally this chapter attempts to propose a general model to optimize the implementation of integrated IT solution, and to highlight its managerial, organizational and accounting impacts.